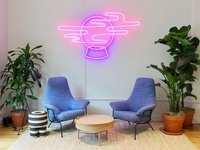 Crystal Ball — Magical neon I designed for a WeWork building in Chelsea. 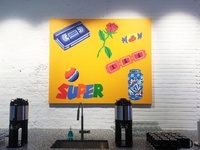 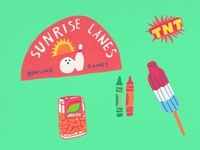 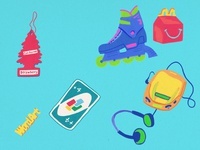 Super VHS — Painting for a WeWork building in Chelsea. 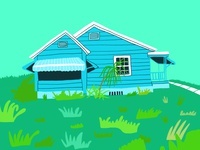 Florida Home — Florida house drawn using the procreate app. 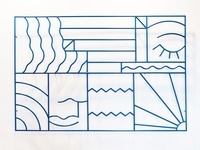 Wavy Sign — Steel rod metal sign I designed for a WeWork building in San Diego. 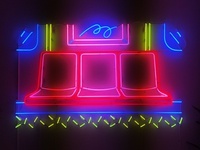 Subway Seats Neon — Neon I designed for a WeWork building in the Garment District.